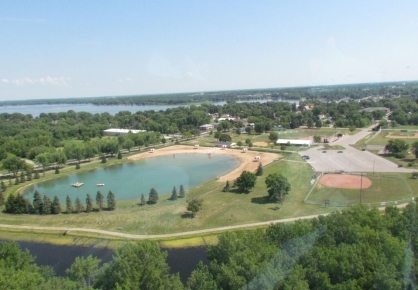 The Oshkosh Community YMCA and the Village of Winneconne are pleased to announce a partnership that will shift the operations of the Marble Park swimming area and the Winneconne youth baseball and softball program to the Oshkosh YMCA. The YMCA will oversee the day to day operations of Marble Park's swimming facility, which includes summer swim lessons. The YMCA will provide Certified Open Water Lifeguards and swim instructors for all open times and swim lessons. All sales of season swim passes and swim lesson registration will take place through the Oshkosh YMCA. The YMCA will implement swim lessons that are consistent with the lesson program currently held at the Oshkosh facilities. Open swim hours at Marble Park will not change. The facility will be availabe to the public for open swim beginning on Saturday, June 4th and will run through August 28th, weather permitting. The YMCA will also run the Summer Youth Baseball and Softball program. The program will now be staffed by YMCA personnel and all registrations will be made through the Oshkosh YMCA. The baseball and softball program is for kids ages 5- 15. For more information regarding Youth Baseball and Softball please contact Angie Flanigan, Senior Program Director at 236-3406 ext. 126 or email at angelaflanigan@oshkoshymca.org. For more informtaion regarding swimming lessons please contact Lisa Bifano, 20th Ave Aquatics Director at 230-8439 or email at lisabifano@oshkoshymca.org.